The online learning software creates a platform for colleges staff, lecturers and students. The College software is designed to be used as full time or part time training, and very effective for online distance learning. 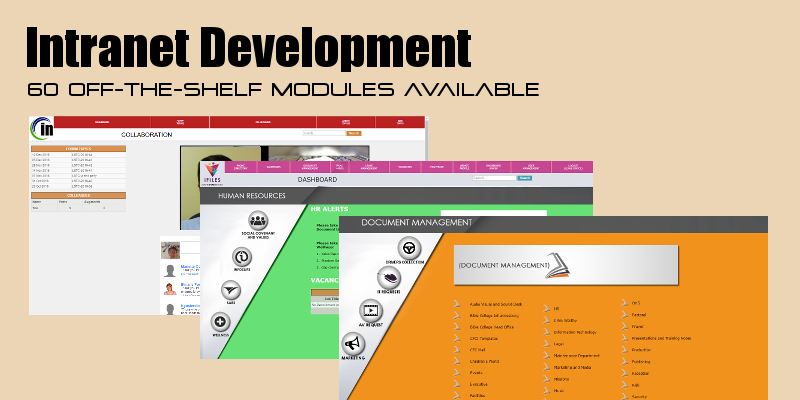 The software modules can be used as stand-alone or comprehensive College solution. As an online eLearning content delivery system, the content is presented as slides, or power points and pdf downloads. Training is tracked using progress through the slide material. e Learning material is delivered online and is interactive in using videos, animations and images. Each student is given a unique user name and password via email or sms (using the sms integration software), allowing them unique access to their material. This means that each student can have their own unique course or programme on which they are enrolled, or a class can be bulk enrolled in a set programme. As an online student portal, it means that staff can also upgrade their training as a student, using their personalized student access passwords. The eBook facility is a useful addition for students able to print out or download the information from the college elearning system. eLearning content can be combined with classroom training and SCORM. Courses are available in mobi format allowing for student training on the run! This is also useful for students with no access to a desktop or laptop. The student no longer has excuses for not attending classes! Many fast food outlets have free wifi access for a limited time. Courses have SAQA NQF levels and credits attached to the courses. Online assessments create ongoing learning as the assessments can be interspersed in the online learning. Assessments can be auto-marked or assessor marked. those that are automarked are multiple choice, true and false, yes / no questions, labelling diagrams. Quizzes / assessments set as essay or short answer type questions are assessor marked. Assessments are set according to how many attempts are allowed to prevent cheating. Setup options allow for assessements to be timed or untimed. Online staff assessments can be created for company training to keep up to date with necessary information. The EduCentre dashboard for the students shows the courses they are enrolled on, with the option to add images per programme, course and per chapter, as well as other communication that the college or educational institution wants the student to have such as how to use the elearning. The online student portal allows updated and regular communication which is loaded by the College System Administrator. This college software handles the enrolling of students and tracking of their records, reporting of marks attained in the training material. Students can be enrolled in multiple courses per year, while courses are set per year. Learner books for submissions can be downloaded and re uploaded on the student portal allowing for the students to complete pratical assignments to complete the course. All marks and tracking is centralised on the elearning software, coming together on the student reporting side. The EduFin software for colleges is used for tracking student payments, moneys owed and moneys paid, as well as the means of payment. EduFin is used for creating student invoices, reporting on outstanding student payments and keeps records of students payments online, accessible remotely as well. The Contacts module contains the contact details of the students, links to the LMS to enroll students as well as the student security profile where the student's login details are recorded. The student has access to their profile to update information which is authorised by the system administrator (the lecturer / teacher) to prevent information disappearing! It contains the student email information to which notification emails are sent and login information. Assessment access is also sent to this email address should the assessing software be used as a stand-alone module.